Updated: 6:30 p.m. | Posted: 2 a.m. 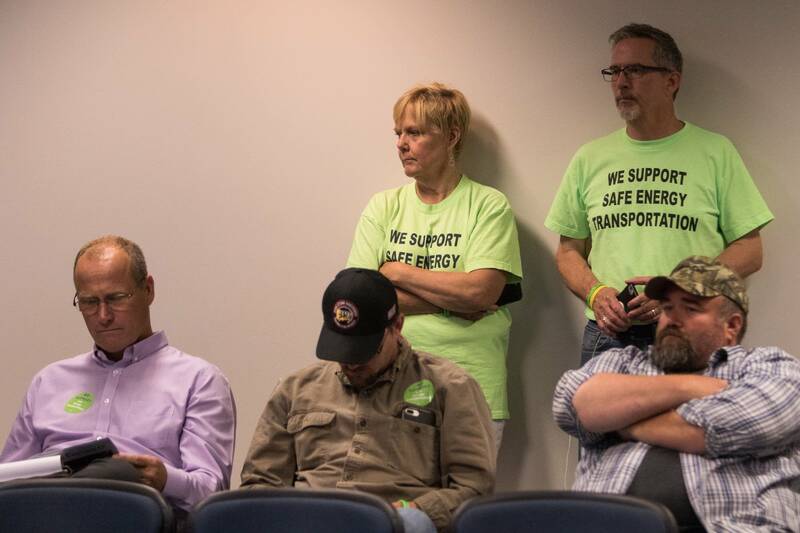 The five members of the Minnesota Public Utilities Commission worked through questions of Enbridge Energy and opponents of the Line 3 oil pipeline project on Tuesday, saying it might take them longer than expected to discuss and decide on the matter. A new letter filed Monday by the U.S. Department of Transportation's Pipeline and Hazardous Material Safety Administration appeared to throw a wrench into the process. The agency recommended approval of a new Line 3 along a new route. But project opponents questioned why the agency waited until the last moment to submit the letter. PUC Chair Nancy Lange said commissioners will discuss the letter during next week's hearings, scheduled to start on Tuesday. She said the PUC reserves the right to extend deliberations next week, with a decision coming as late as Friday, June 29. The commission's decision could reverberate across the country and the world, as companies invested in oil face off with environmentalists and Native American tribes who see new oil pipelines as a way to exacerbate climate change and harm the environment. • Related: Minn. regulators will soon decide on the Line 3 oil pipeline's fate. Here's what it could mean — how to follow along. Questions from commissioners continued to focus on whether the new pipeline is needed and whether there's enough evidence for future oil demand in Minnesota and the Midwest to justify it. The discussion also made clear that the existing Line 3 is in bad shape — the company estimates 6,200 maintenance digs would be needed within the next 15 years to ensure its safe operation. Several of the commissioners, including Lange and Commissioner Katie Sieben, a former DFL state senator, said they were wrestling with the negative consequences of either approving the new pipeline and subjecting a new part of the state to the risk of spills — or denying the project, in which case Enbridge plans to keep operating the old, corroding Line 3. "The line is in horrible condition. So it weighs on me, and I think the chair, too, ... it's a bad decision either way," Sieben said. "It's a terrible choice. Of course we don't like it," said Joe Plumer, an attorney for the White Earth Band of Ojibwe, which opposes Enbridge's plan. Plumer said that even though living with the old Line 3 would be riskier in the short run, opening up a new route for oil across the state that could last for decades, contributing to climate change, is worse. Minnesota's best hope, he said, is that the old Line 3 will be forced to retire as demand for oil goes down with the transition to cleaner energy sources. "I believe the market will correct itself," Plumer said. 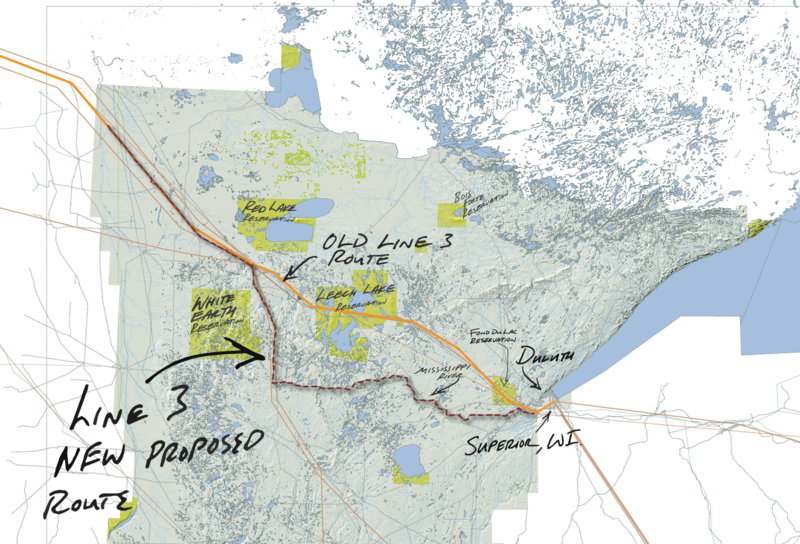 A lawyer for the Leech Lake Band of Ojibwe told the commission the band prefers replacing the old Line 3 with a new pipeline that avoids its reservation. The band's legal director, Grace Elliott, said the risk of a spill on the reservation will escalate without the new pipeline, and she says the band isn't in a good position to sue the company to shut down the old pipeline. "It's not a very practical remedy for us to pursue. We have limited resources and multiple priorities across the reservation that we're working on — the opioid epidemic, housing crisis, people don't have internet service," she said. 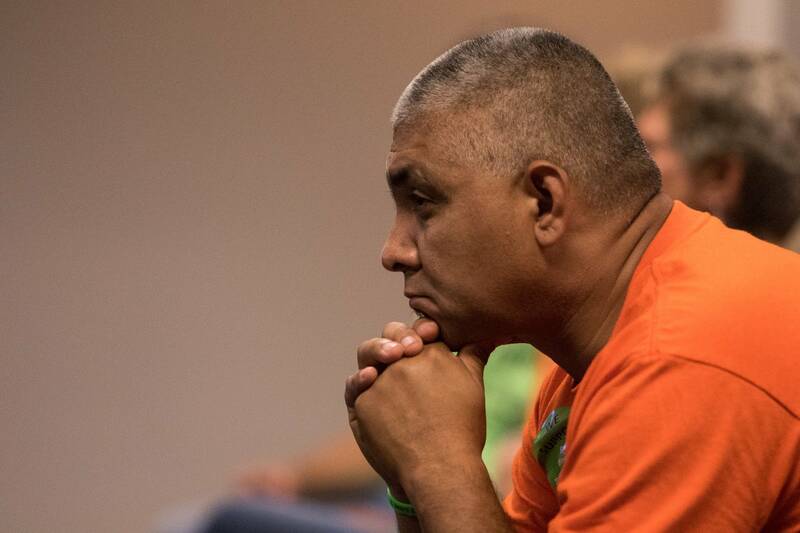 But the other Minnesota Indian tribes testifying in the case agree with environmental groups that the pipeline is not needed and would result in irreparable harm to the environment. Enbridge attorneys continued to reject environmentalists' assessment that denying a certificate of need would somehow move the needle on climate change, saying that oil will be extracted, moved and burned regardless of whether the new Line 3 is built. "The crude will get to market. The question is which market, and how?" said Eric Swanson, an attorney for Enbridge. "In the short term it moves by rail," added Enbridge attorney Christina Brusven. MPR News reporter Tim Nelson talked with supporters and opponents of Line 3, and fellow MPR News reporter Dan Kraker before the Minnesota Public Utilities Commission hearing Tuesday. Minnesota Public Radio will continue to follow this story through the week. Check back on mprnews.org/pipeline for updates, or follow along at @RiversOfOilMPR.